Stock product - detailed vector illustration - Isometric Vehicle Collection - Eurofighter 02 - created by Aurielaki. Image formats EPS AI JPG. 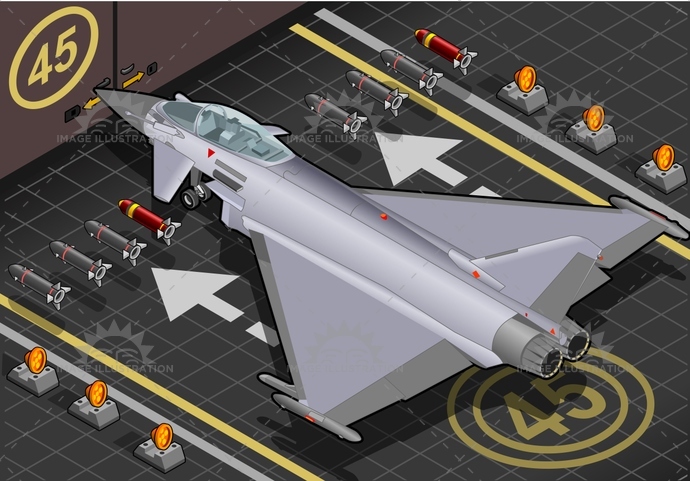 Isometric Eurofighter Where possible the objects have been grouped to make it easily editable or hidden. This illustration contains a transparency blends. SKU: Eurofighter-02-Vehicle-Isometric-AurielAki. Category: Militar Planes Vehicles 3D. Tags: airforce, airplane, airport, AirVehicle, arming, aviation, bomb, BomberPlane, CoastGuard, defence, eurofighter, hangar, isolated, isometric, jet, landed, military, missile, pilot, RAF, SpecialForces, SupersonicAirplane, Typhoon, war, weapon.